This dinosaur is a full body puppet made by the Puppet company and is 35cm. Your hand goes inside the front of his tummy to reach his mouth and make him come to life, he's roarsome! He has a red felt mouth with lots of scary white teeth! 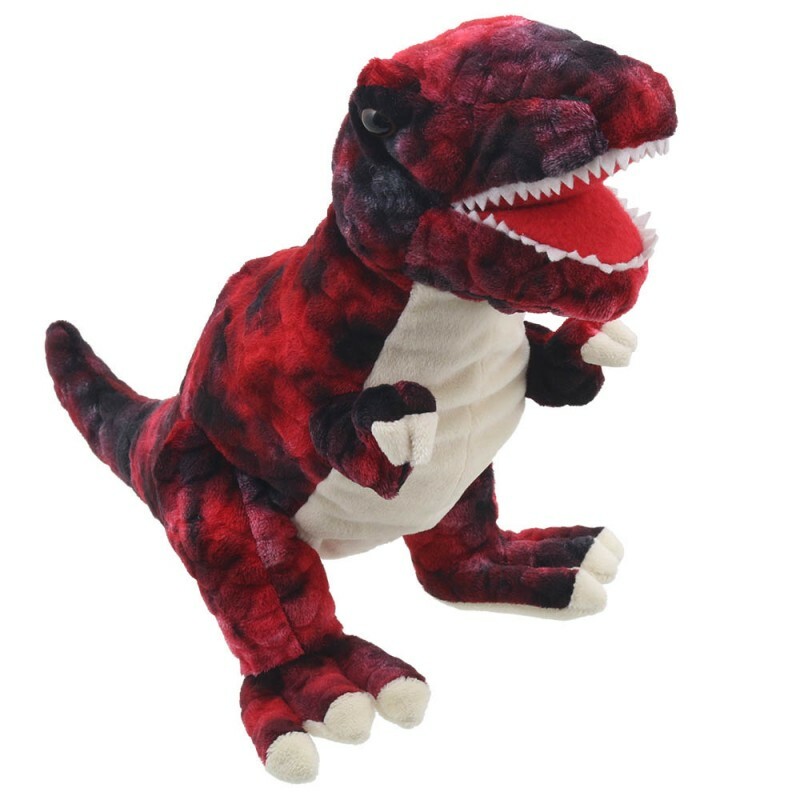 He is a dark red mottled colour with a velvety soft beige tummy and feet pads and is all ready for some prehistoric adventures.